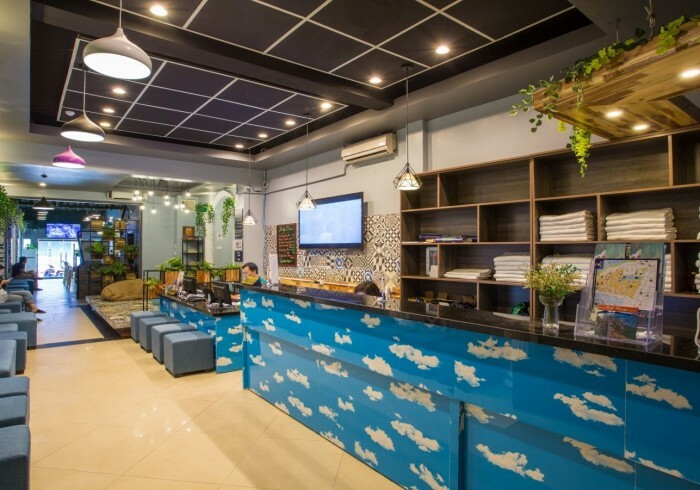 Babylon Garden Inn is brand new and most luxury hostel with private rooms, privacy bed dorms as we are the only hostel in Hanoi which has in-house 4 seasons swimming pool for guest using free, movie room. Awesome location right in the central of old town within walking distance to most of the main tourist spots where you can find most wanted things for your time in Hanoi. On the rooftop garden restaurant & bar we serve Asian & western’s foods with similar price in the area. Our young, helpful staffs who work at front desk or travel desk with experience of Vietnam travel destinations who can help you any problem or advice a best budget plan to travel. - On bed power point, reading lamp and clothes rack, bed curtain. - Free to use PC at lobby. - Leave your shoes out of the room. - The payment are requested to pay upon arrival. - Expecting other's space, please no making noise from 10pm till 8am next morning. - Loosing key/ towel will be charged 10$/ item. Early check in before 8:00 AM or for guaranteed early check-in, room will be reserved the night before and charged at 100% with or without buffet breakfast.